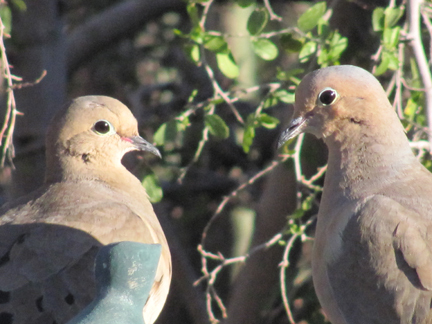 The Mourning Doves are year around residents. This must be love at first sight! 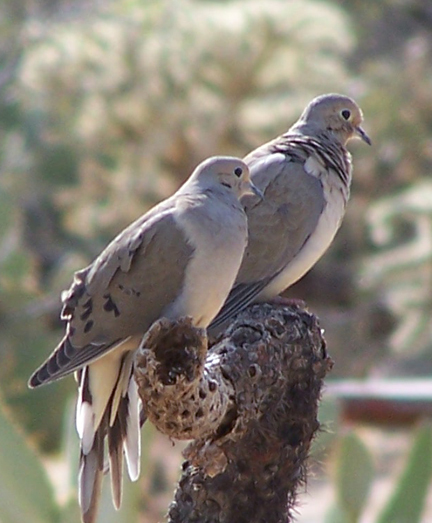 There could not be a happier sound than doves cooing when they are wooing! 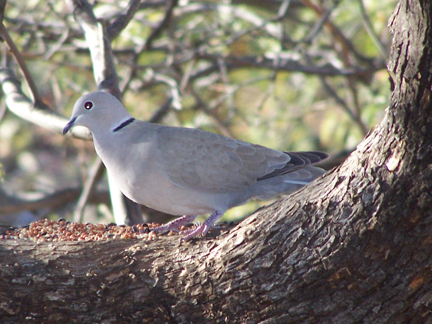 These are the White Winged doves…a little larger and probably more prolific than their Mourning relatives! Their nests are always full. They get to be kind of pesky around mid summer, as they over run the feeders. Luckily, in the fall, parents with their many offspring, leave and make their way to Mexico for the winter. 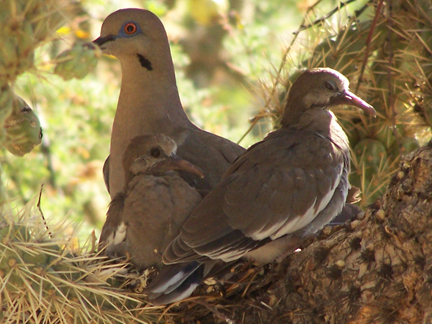 The Turtle Doves are newer residents…. We have a pair now, that should provide more dovely photos! Maybe they’ll stick around for Christmas…Ha! 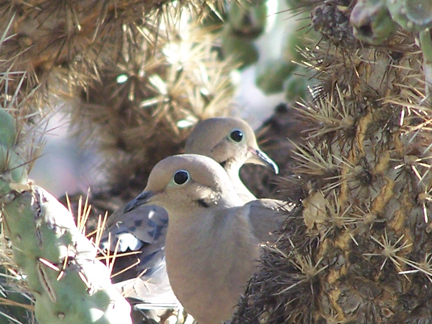 But I guess instead of a partridge in a pair tree, we’ll have to settle for a quail in a prickly pear? ← Birds of a Different Feather…Flock together! hope you are saving all of “Todd’s Backyard” for a future book. Rondi your pictures are beautiful and comments really, really good!